A good turnout was on hand for A River of Opportunities March 31st rezoning workshop held at the Newburgh Armory Unity Center. 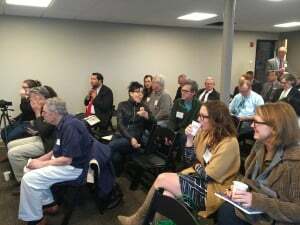 The morning session saw standing room only attendance with over 55 attendees, some of whom had travelled from Manhattan and Brooklyn to learn about the city of Newburgh’s new zoning regulations. 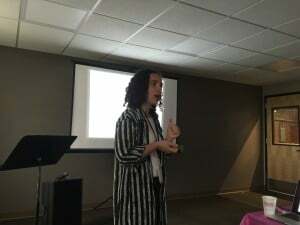 City Planner, Alexandra Church provided the centerpiece talk of the seminar: a 30 minute overview of the new zoning regulations during which she discussed how we got from 2012 to 2016, the changes that were mindfully made in between, and some of the success stories that have occurred. Major changes in use, including use variances regarding scales and types of uss, especially for Cottage (Etsy) type industries. These uses mean as long as nuisances (smells, etc., ) don’t leave the premises, the way has been paved for cottage industry to stay within zones that allow live/work usage, historically and by neighborhood. For instance, Broadway has always had live/work retail. 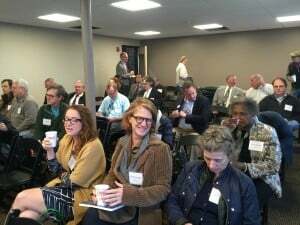 Church’s follow-up question and answer period was met with a surge of interest from the audience regarding the interpretation of the new “Live/Work” zoning regulation change, which is known as a zoning overlay. This zoning change will allow people who are interested in operating their businesses to both live and work at the same location. allows for both residential and commercial space to be situated in the same building, similar to the “Live/Work” zoning but different in that the property owner need not live there. Those who are interested can review the new zoning regulations here. 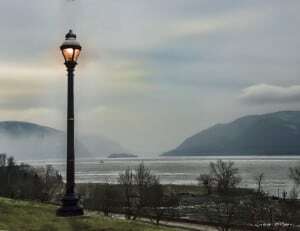 Peter Malone, Campaign Manager and creator of the, “A River of Opportunities” economic development initiative, provided an overview of the campaign, the new website as well as the search content marketing, and overall rebrand. 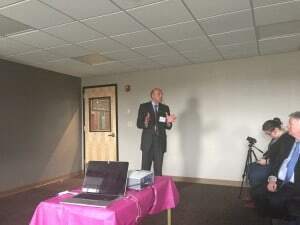 He spoke of the success the Campaign is having in creating awareness for the City of Newburgh, as measured by the website’s Google Analytics traffic which indicates heavy traffic from New York City looking at properties and stories about Newburgh. An interesting bit of data is that there is a young demographic but also a boomer demographic with women visiting slightly more than men. Interestingly, a fair number of attendees were women, and from Manhattan. Barbara Lee of Maveric Interactive, spoke about the Google AdWords Grant she obtained for A River of Opportunities, and the content marketing effort she is spearheading. Mr. William Kaplan, Chairman of the Board of the Armory, made an impromptu appearance and jovially reminded the audience that the tremendous building the seminar was being held in hosts sporting events for Newburgh’s youth, offers education programs for children and adults, partners with Mt. St. Mary College and Marist and SUNY New Paltz for literacy programs and hosts a USCIS Mobile office for immigrants needing services. John Lonczak representing Mount St. Mary College, talked about the “START-UP NY” initiative that is underway at the college and what types of companies are looking to potentially qualify for this New York state sponsored program. The program provides incredible tax benefits for newly arriving companies to New York State, here is a link for more details on Startup NY at the Mount. Mr. Meyer then offered a tour of what TSEC is doing at the Newburgh Armory Unity Center in the training facility that is located on the lower level of the building.